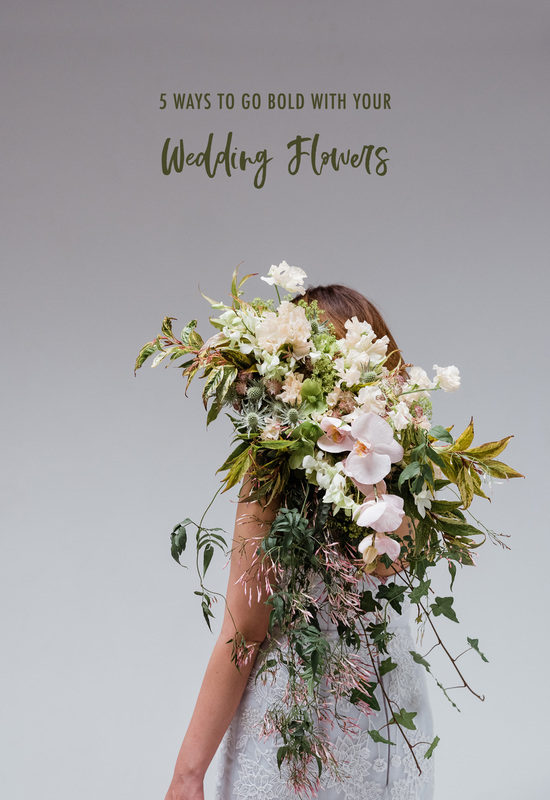 If you want to be on the front end of floral trends in your wedding, you’ve come to the right place! Forget what you know, let’s break some rules and get creative, yeah?! 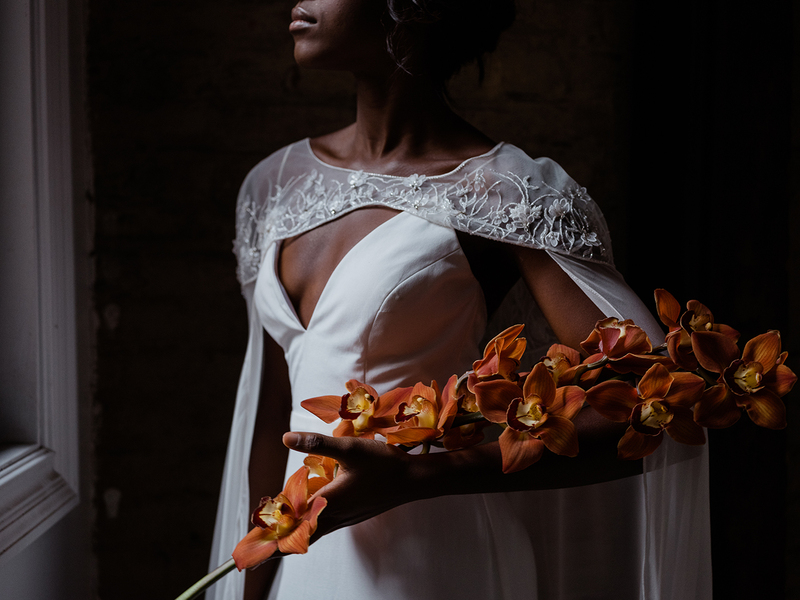 This shoot came together when Katherine at Wilde Scout Photography was contacted by one of her former brides to have a look at her floral portfolio. 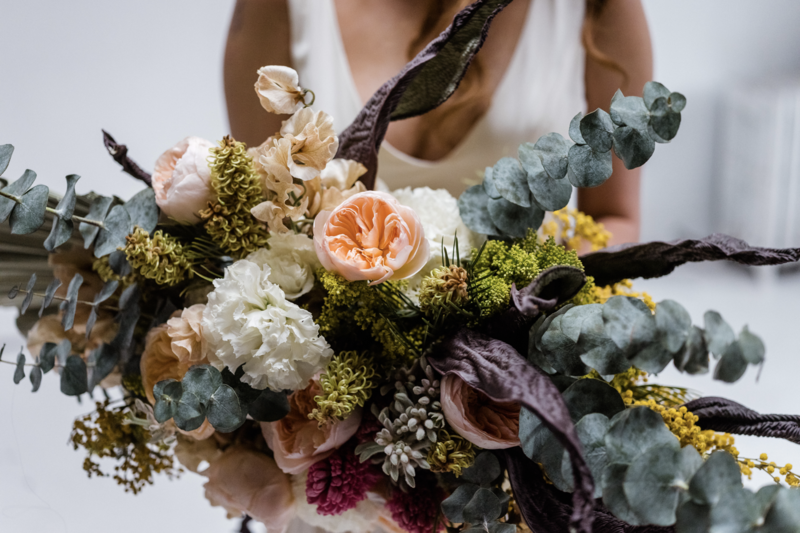 Aubrey is the owner of Studio Rhea, and a florist with a vision to create unique floral designs that elevate + inspire. 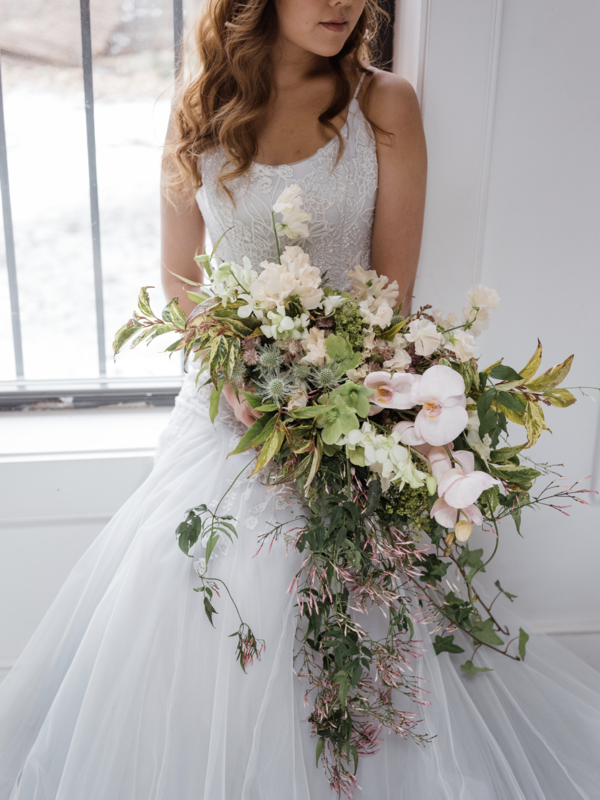 Katherine was blown away—just like you’re about to be!! 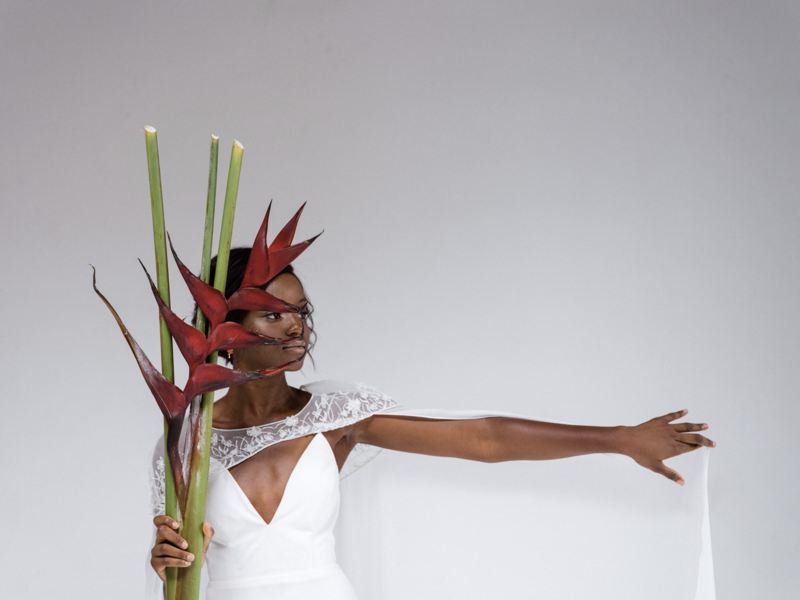 Aubrey’s vision and approach to florals doesn’t come from a place of bridal or weddings, but an appreciation and background for fashion and art. 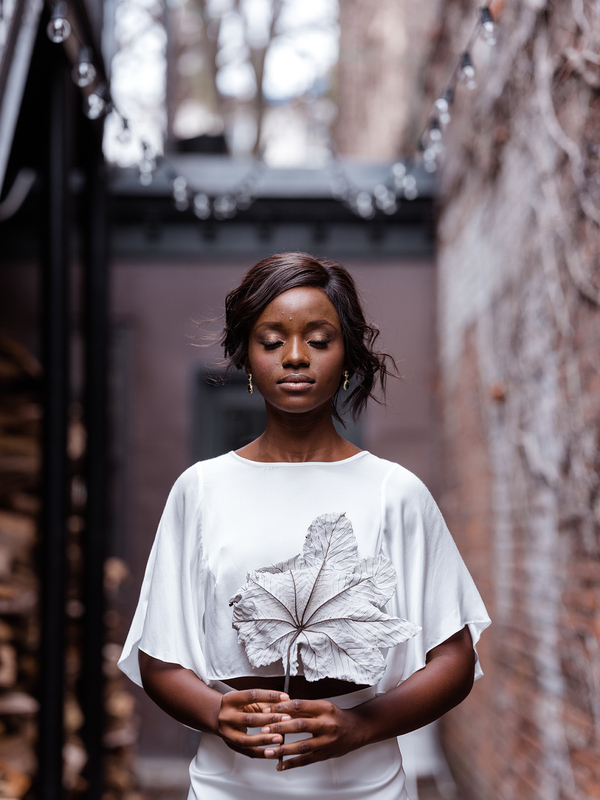 She looks to the Met Gala, Vogue, and street artists for her inspiration. The oversized unique flower crown, for example, was inspired by Freida Kahlo. 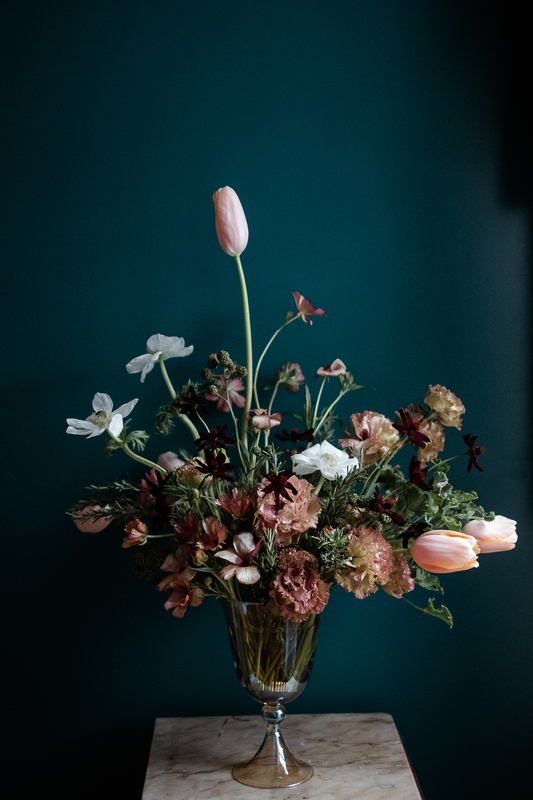 Aubrey allows her clients to see the art in floral, blurring the lines between the whimsical and refined. 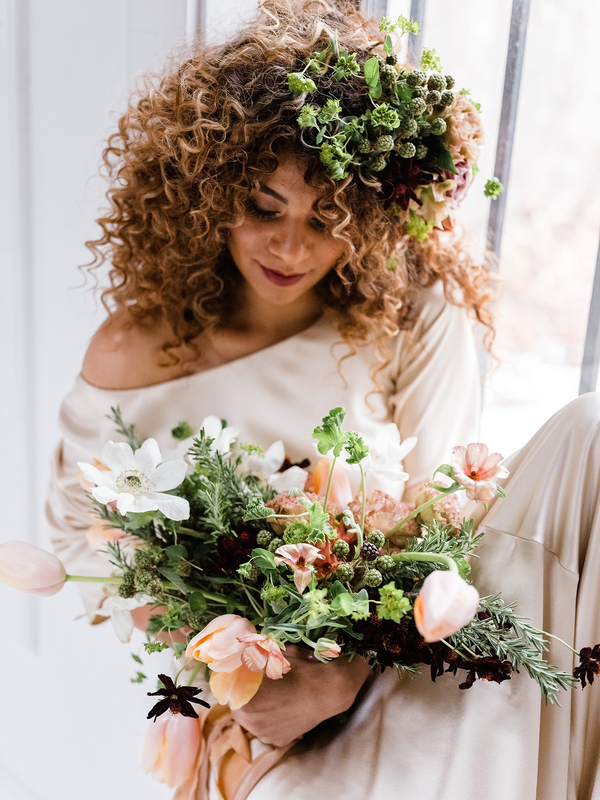 In this shoot, we included a number of creative options for brides, including bouquets, flower crowns, alternative decor pieces, and different styles of flowers. 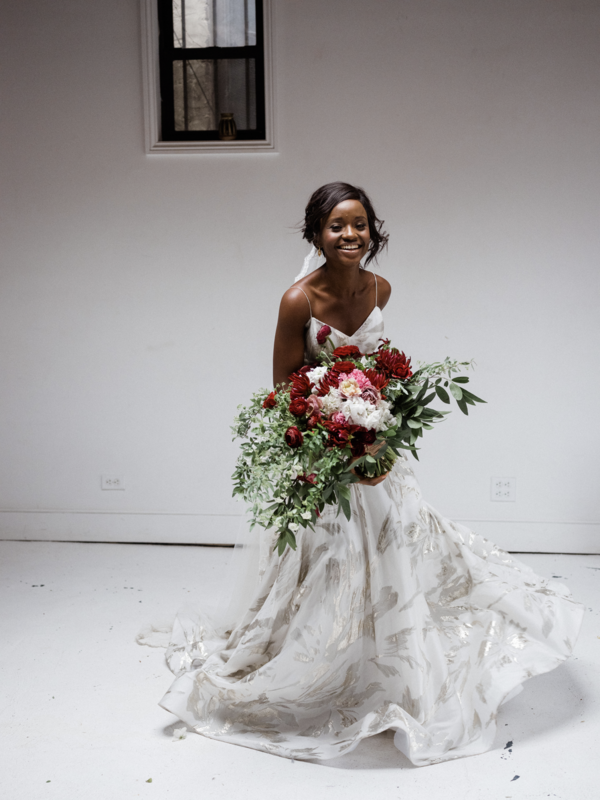 Let’s break a rule from the get go: you don’t have to carry a bouquet down the aisle! Think outside the box by looking to palms, bird-of-paradise, or honestly any unique and bold stem. 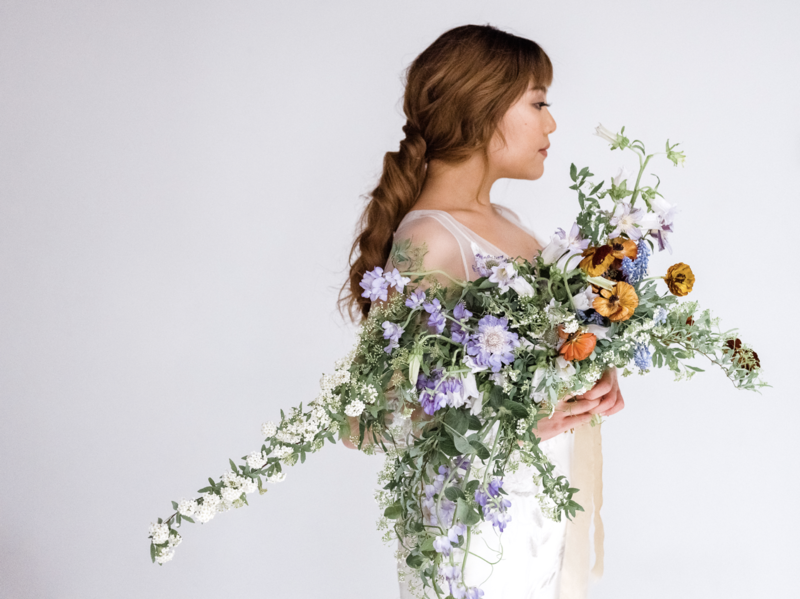 The size + color can totally transform your bridal look. If a single stem isn’t your thing, we’re also fans of running hard in the other direction! 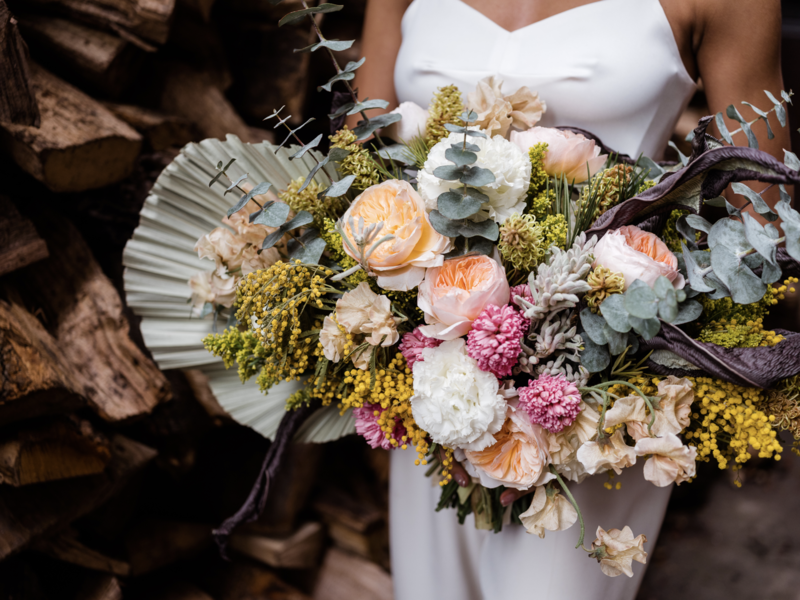 Oversized bouquets bring in that free-spirited quality and a foraged feel that always stuns. 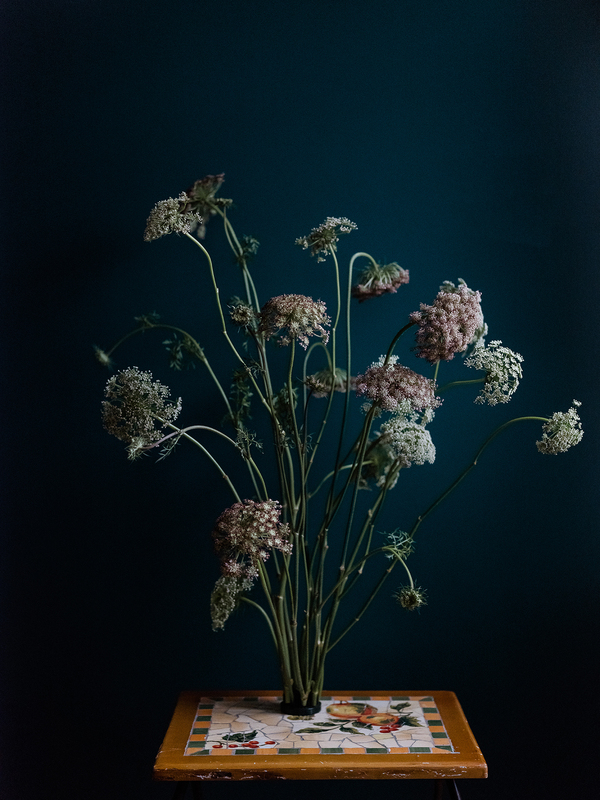 Flowers aren’t only there to stand still + look pretty! 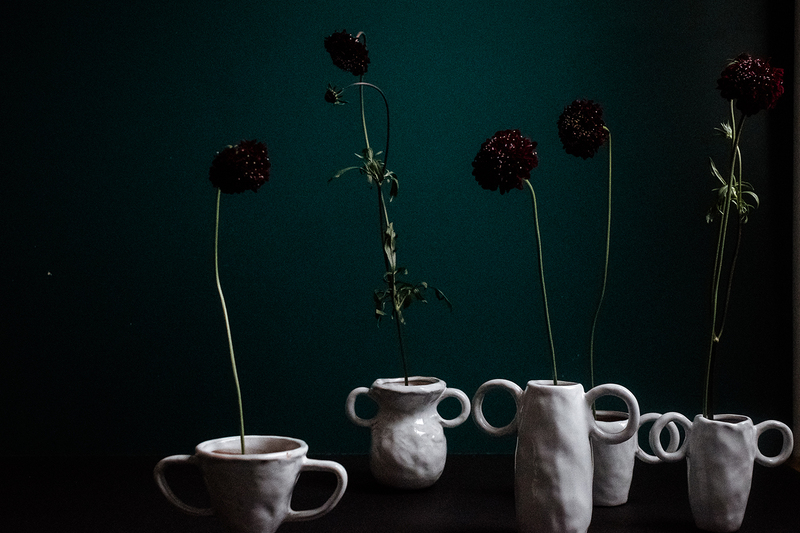 Done right, they can be inspiring and even artful. 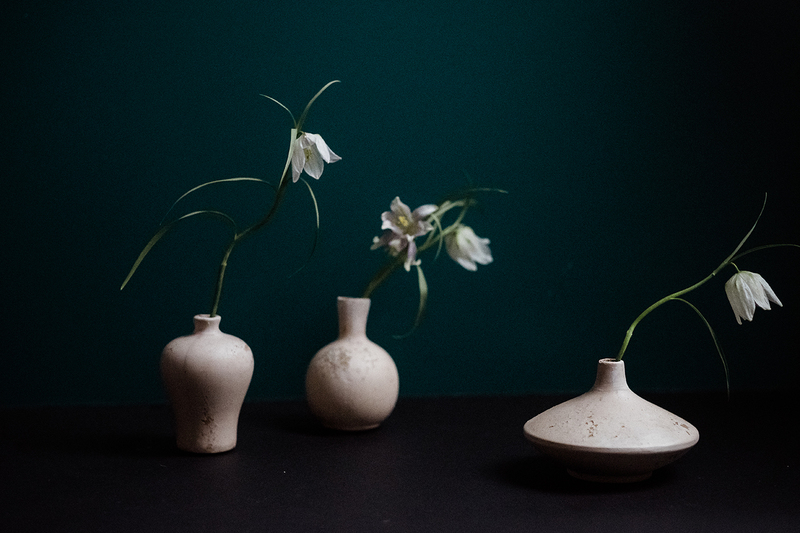 Experiment with monochrome, bud vases, illusions, and rare blooms. 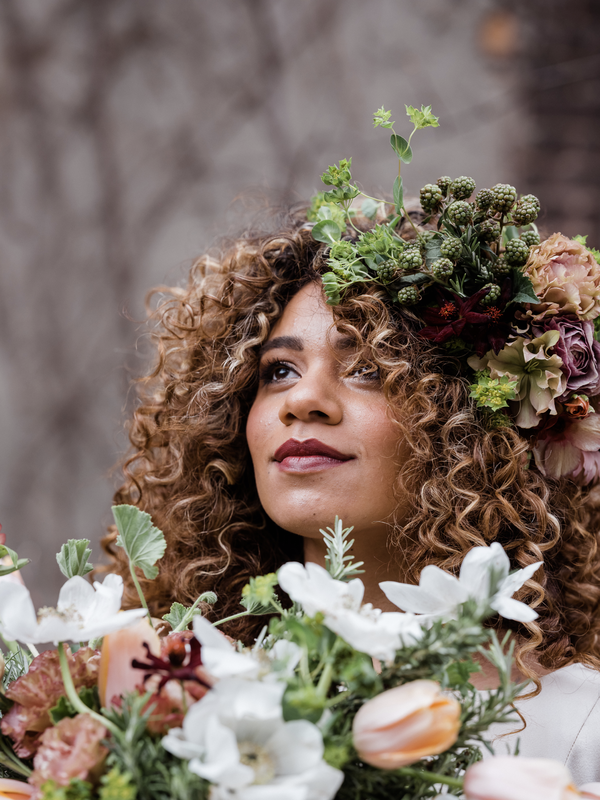 We’ll always love you, flower crowns, but floral hairpieces have moved the trend into more artistic expression. 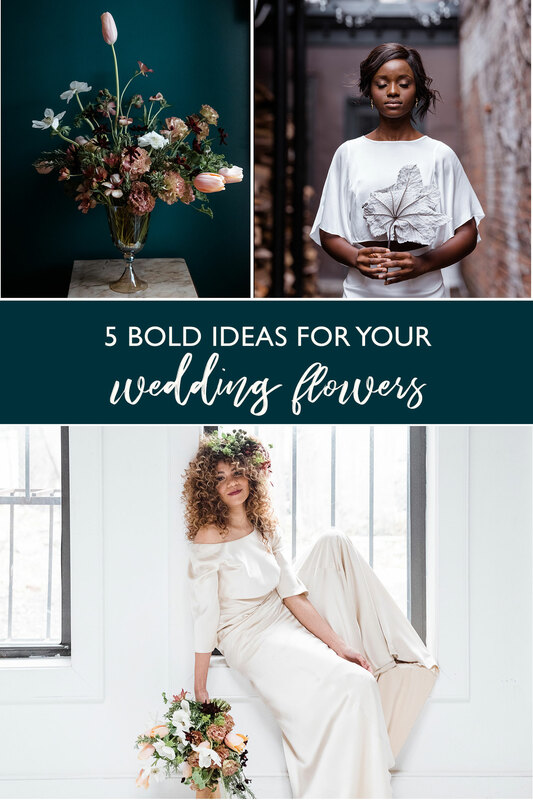 Work with your florist to find unique blooms + greenery that both compliment and stand out from your bouquet. 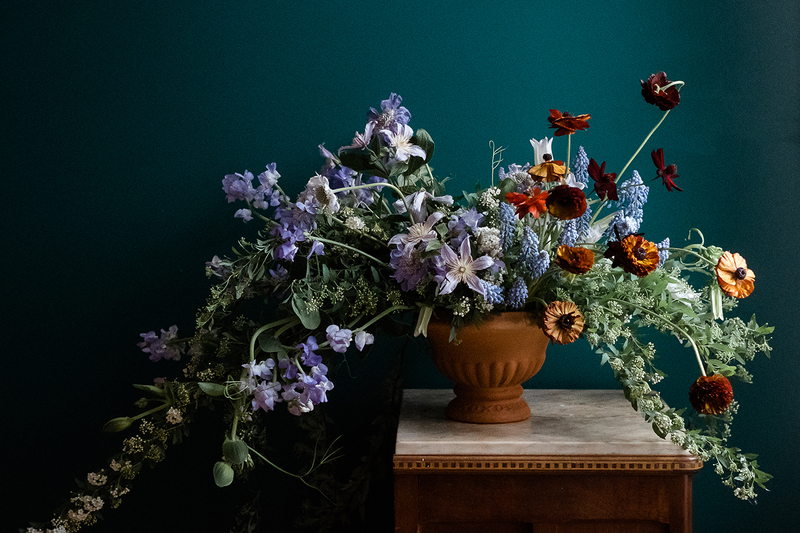 Simply put: less flowers, more greens! 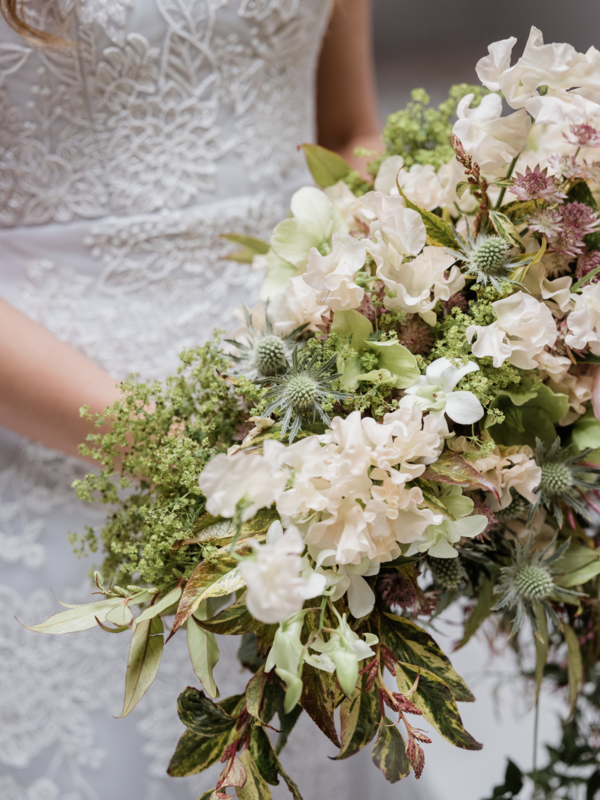 The color + texture of greenery not only make the blooms pop, but can easily stand alone as a stunning bouquet or floral installation. Some great ideas here! 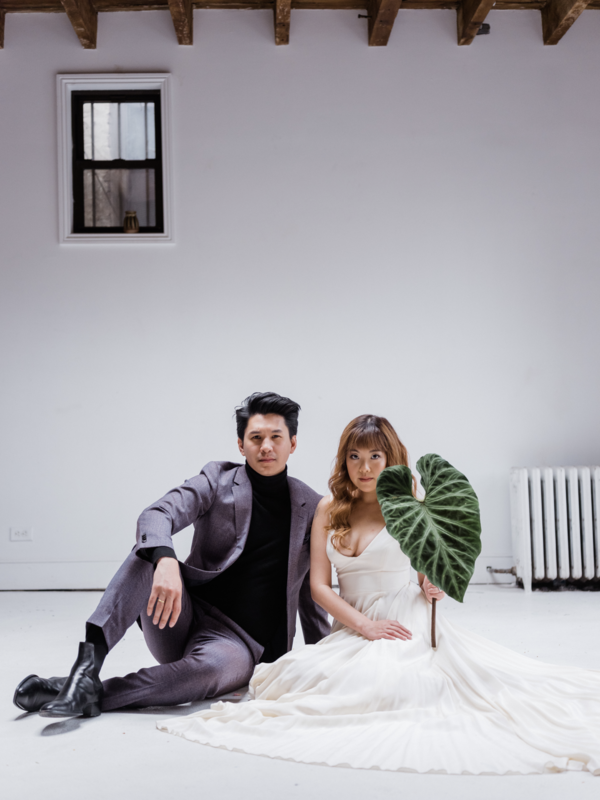 Thanks to the team behind the shoot for sharing some killer inspiration! Definitely some interesting options here! I think my favorite is the burgundy oversized bouquet!